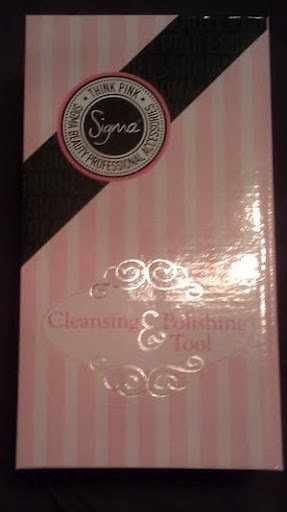 After seeing the Sigma Cleansing & Polishing Tool making the rounds on several blogs, I had to get one for myself. 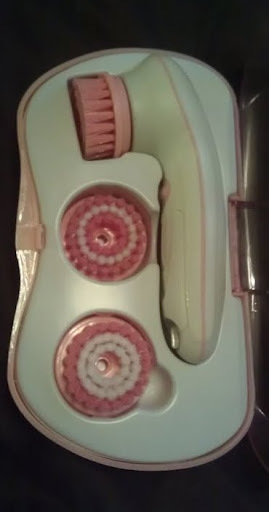 I have lusted after the Clarisonic Mia like everyone else but just couldn’t bear parting with $120. But spending $39 on the Sigma brush seemed more than worth it, especially If I could get similar results. First of all the packaging is absolutely adorable! The case and the brush are a very feminine pink and white, it appeals to my inner teeny bopper. The Sigma brush is a little cheap looking and a bit larger than the Mia, but for a fraction of the price I can’t complain. Just to be clear this brush is battery operated, it does not run off of sonic vibrations like the Mia. The Sigma brush is water-resistant not water-proof, so don’t submerge it in water. The brush and brush heads come in a convenient travel case that can easily be stored away when not in use, I like this idea a lot. This way the brush heads are protected from being smashed in your suitcase or drawers. 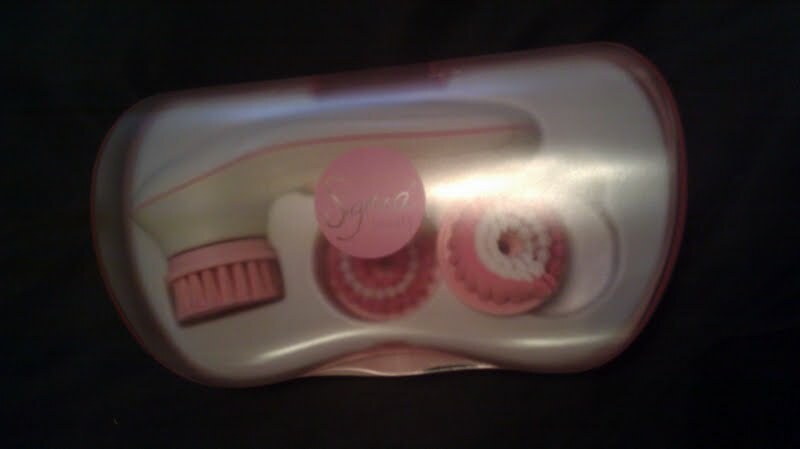 The Sigma Brush runs off of 2 AA batteries that DO NOT come with your order so make sure have a pack handy. Soft: The pink brush head is the softest and is the brush you should start out with on your face. It’s the most gentle and the one you will primarily use. Medium: The medium brush has a row of white bristles and is recommended for daily body exfoliation. Firm: This brush is recommended for times when you need a deeper body exfoliation and for rough areas like elbows, knees, and heels. There are two different speed settings so you can get the exfoliating and cleansing that you desire. The first time I used the polishing tool my skin immediately felt baby smooth and I was surprised how mush makeup was on the brush considering I washed my face before I used it. I don’t want to over do it, so right now I’m only using it once a week. You always want to use the polishing tool on clean skin so the brushes don’t get gunky and so your cleanser can really penetrate your skin. Put a dime size amount of cleanser on the brush head and exfoliate for no more than a minute the first few times so you can gauge your skins sensitivity and go from there. You can even order additional attachments to use with your polishing tool to get a true spa experience like a massager, pumice stone, and an extra-soft silicone brush. The Sigma Polishing Tool may not be as sleek or elegant as the Clarisonic Mia but it definitely delivers. My skin feels baby soft, clean, and I feel like my cleanser is really penetrating deep into my skin which is really the point anyway. I also use less of my face wash when I use the polishing tool. For $39.00 you absolutely cannot go wrong. I found a 10% off coupon online and ended up paying about $43.00 with tax. I absolutely love this brush and don’t regret not buying the Mia at all. To order your own or check out what Sigma has to offer Click Here.